Why Is Artificial Grass A Good Idea? 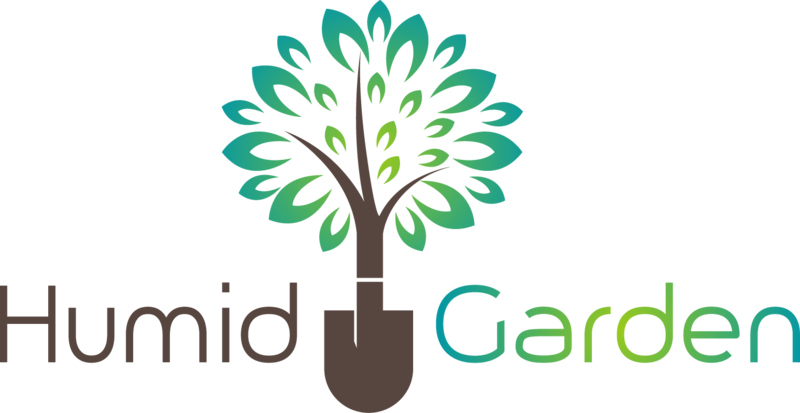 Are All Lead Generation Sites the Same in Lawn Care Industry? Why Should You Be Using Organic Products On Your Lawn? If you own a home long enough and have a grass lawn there is a good chance that weeds and other unwanted plants will eventually supplant most of your grass. That is when it is a good time to remove the old grass and plant new. This can make a dramatic change in the looks of your lawn once the new grass comes in. It will also afford you the chance to even switch to a different type of grass. In just a few short weeks your new lawn will start springing to life. The question is how do you know when to mow new grass? This is a great question if you have just planted new grass. It’s essential that you do your first mowing of your new planted grass when the conditions for it are just right. Mowing too soon tends to pull up newly germinating grass roots and all before it has had a chance to establish itself. 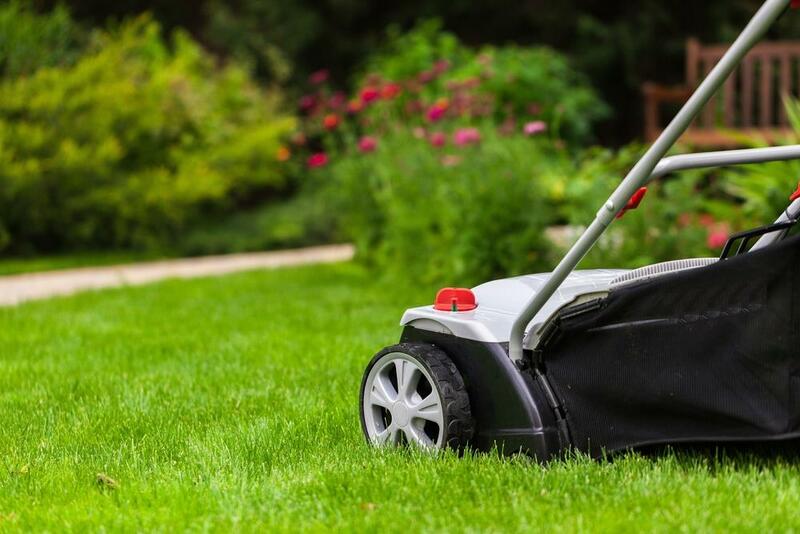 Waiting too long to mow can cause overgrown grass plants to fight among each other for essential nutrients and that may result in unhealthy and unsightly grass. 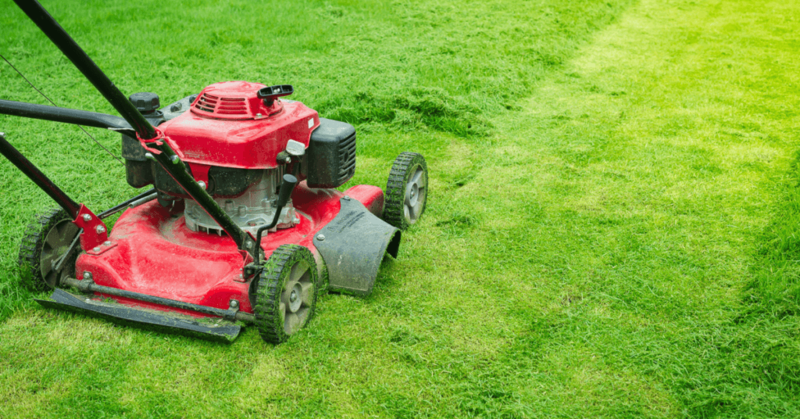 Let’s take a further look at what determines when it’s the proper time to mow new grass. We have mentioned that both cutting new grass too soon and cutting new grass too late can be bad. So timing is the most important factor when it comes to cutting new grass. If you get it right you will provide the catalyst for having an outstanding looking lawn in a short period of time. One of the first things you must do in order to judge the timing of your first cut with your new grass is to pay close attention to when the seeds first germinate. This is key because it’s generally thought by most lawn experts that the right time to cut your new grass is somewhere around four weeks from when the new grass first sprouts up out of the ground. So what do you look for in new blades of grass as far as height is concerned? 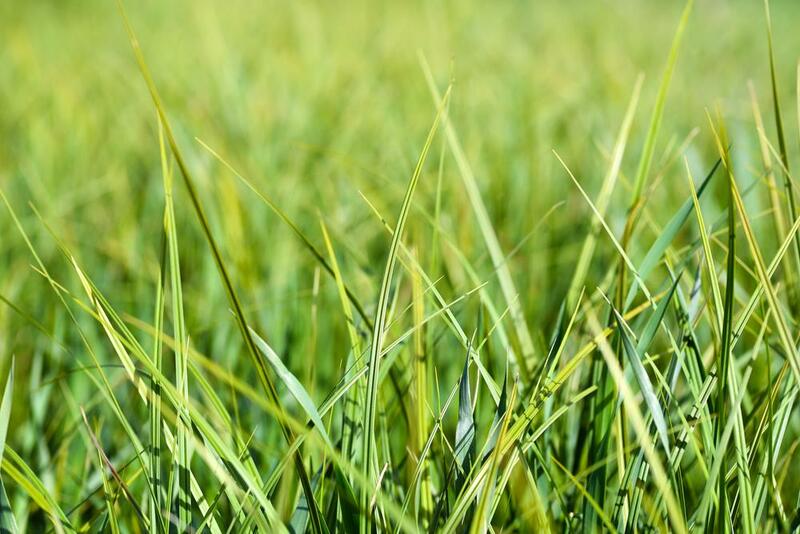 Your new grass seedlings should have sprouted up 3 – 4 inches before you even consider mowing them for the first time. The reason for that is because if your new blades of grass are any shorter than that they are not considered to be established. At the 1 – 3 inch phase of their life cycle cutting new grass will most likely severely harm it or significantly set back its healthy growth. When do you cut new grass for the first time after you have overseeded your existing lawn? This is an area where you have to take into consideration some of the same things we mentioned above. This too requires timing and observation. Need a Mower That Runs quiet And is Easy To Use? Check out he﻿﻿re! If you take the time to do the following simple steps when needed you stand a great chance of having your n﻿﻿﻿﻿ewly planted grass seed turn into a beautiful looking lawn. Water your new grass at the very least two times a day. During extremely hot weather it may require even more watering. Instead of cutting your lawn down to your desired height, do it one notch at a time on your mower’s height setting adjustment. 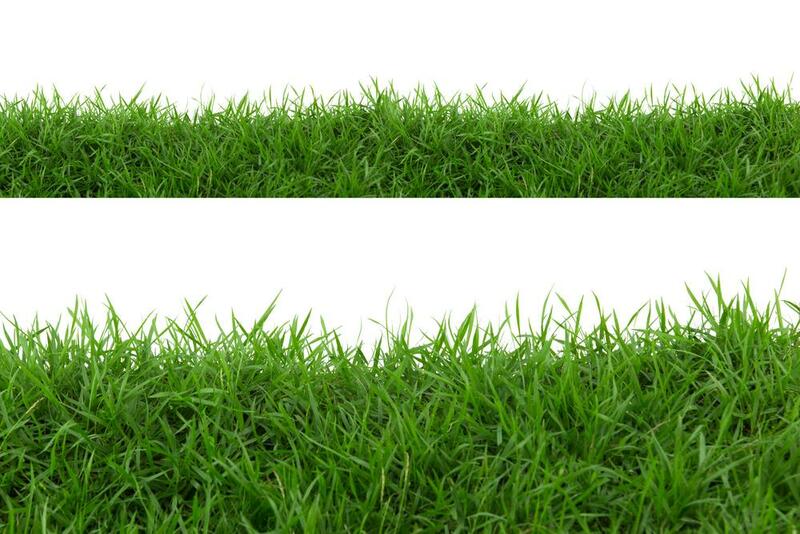 Inspect your new grass after each cut to see how it is holding up. Whether you are cutting new grass or established grass, it leaves your grass healthier if you cut it quickly and cleanly with a sharp mower blade. Remember, patience is the key when it comes to determining when it’s time to mow your new grass. If you follow the advice above you will get this right and cut your new grass when the timing is perfect for it. We welcome any questions or comments you may have on this article.